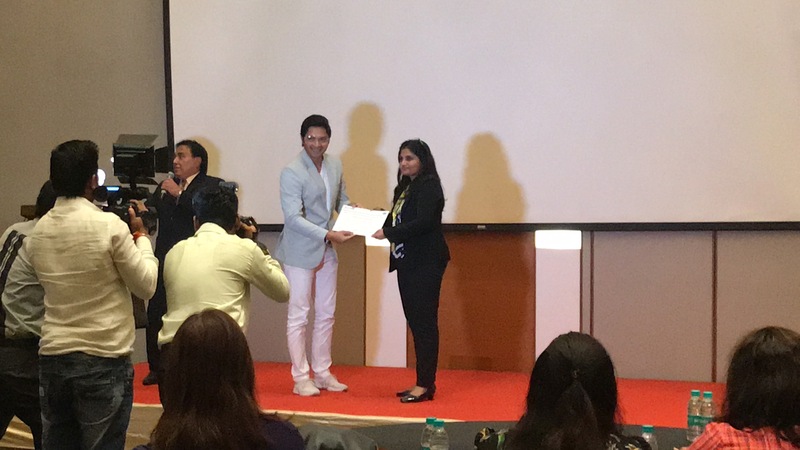 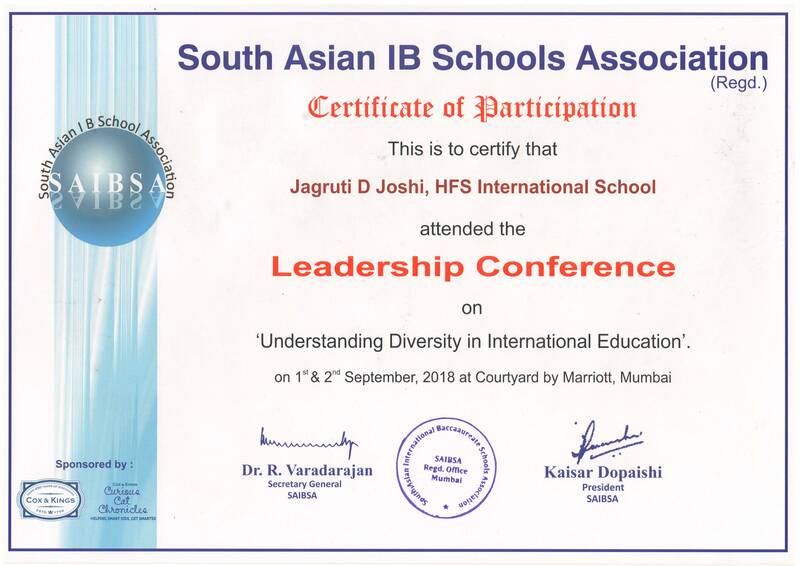 Our IBDP Co-ordinator, Mrs. Jagruti Joshi has won a prize at SAIBSA Meet and Leadership conference 2018. 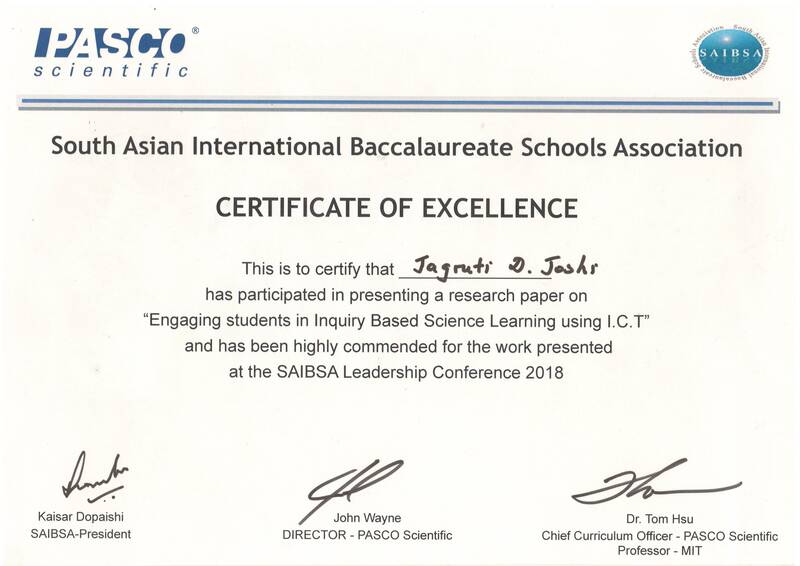 She has been awarded 'Certificate of Excellence ' for presenting a reserch paper on the theme “Engaging students in Inquiry Based Science Learning using I.C.T”. 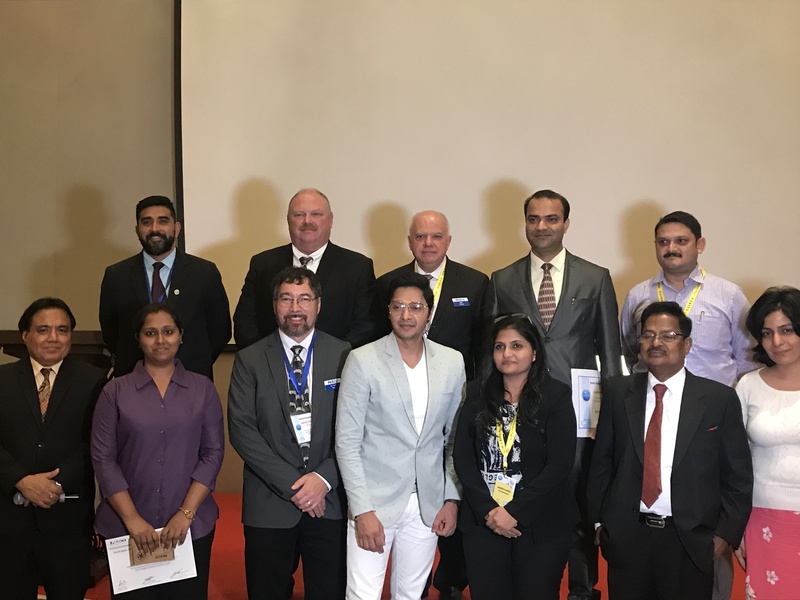 She gets an opportunity to visit U.S.A which is sponsored by PASCO, U.S.A and Young India Films to visit the PASCO factory in Sacramento, California.